Using the command line tool phantomjs, you can produce a screenshot of JBrowse which includes high resolution canvas features. First get phantomJS and rasterize.js (http://phantomjs.org/screen-capture.html). High resolution canvas features requires setting something like highResolutionMode=4 (match the zoom factor essentially). Reason being is that devicePixelRatio detection isn't supported so highResolutionMode=auto doesn't work. To begin editing the SVG can be a little daunting as the webpage is a complex object but first steps are probably to run "Object->Ungroup" in Inkscape, and then "Edit->Deselect" since ungrouping automatically selects everything. The you'll be able to select individual components and edit as needed. 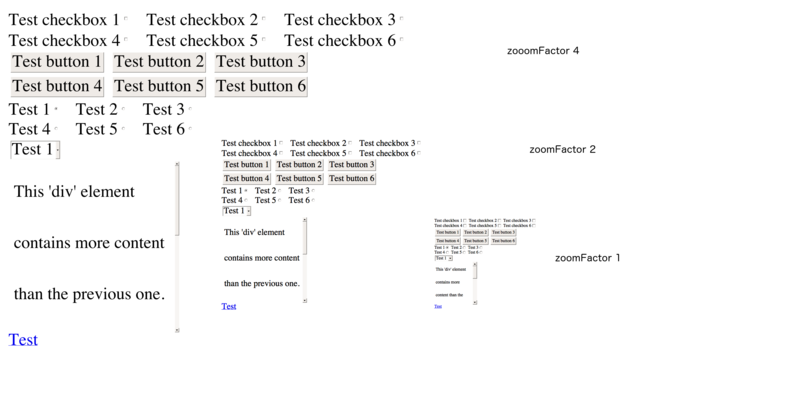 Using pageres, which is a wrapper for PhantomJS, has some commands like --scale to enable easier zoomFactor scaling and -d to increase the timeout. These pageres commands using the --scale argument can upscale content to make high-res images automatically, but using highResolutionMode: 2 or similar is still recommended for canvasfeatures.